Type your function into the Input box. View domain as RED. View range as BLUE. Type any functions where you do not know the domain or range. Learn to do the domain and range without this technology for quicker solutions. 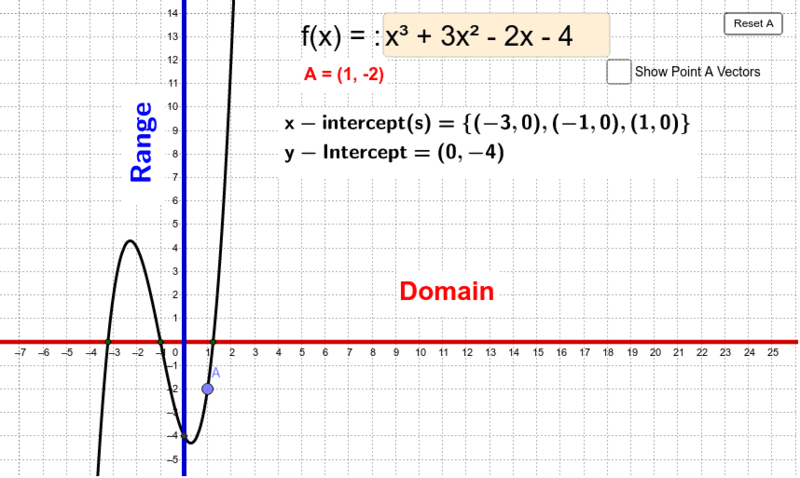 This demonstration is available to all to use in learning Domain and Range of functions.